Start the New Year right with an exclusive Don Julio Margarita Dinner at Border Grill Santa Monica, featuring expert commentary from Top Chef Masters Mary Sue Milliken and Susan Feniger and Don Julio’s certified tequila Catador Kevin Vanegas, as well as the vibrant flavors of a farmers market-inspired menu created by Executive Chef Alex Moreno. Thursday, January 19, 2012 at 7:00 p.m.
*Ask a manager how to sign up for discounts, recipes, and more! Enjoy modern Mexican food in a vibrant setting at Border Grill, the hip, urban cantina from Chefs Mary Sue Milliken and Susan Feniger, Bravo’s “Top Chef Masters” and Food Network’s “Too Hot Tamales”. 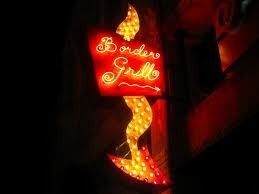 Presenting the bold foods and flavors of Mexico, Border Grill establishes the standard for gourmet Mexican fare in Los Angeles. Border Grill uses organic long-grain rice and beans and serves only sustainable seafood as a member of the Monterey Bay Aquarium Seafood Watch Program. For more info, go to www.bordergrill.com. Don Julio Gonzalez began his journey in the world of tequila in 1942. He soon realized that to create a tequila that stands apart, one must control every aspect of the process, from the cultivation of the agave to the bottling of the final product. He then spent nearly forty years perfecting the craft that would produce extraordinary tequila with every bottle. Tequila Don Julio quickly became the most sought after tequila in Mexico. Today, the world is learning what Mexico already knows–that it is passion above all else that makes a great tequila. For more info, go to www.donjulio.com.